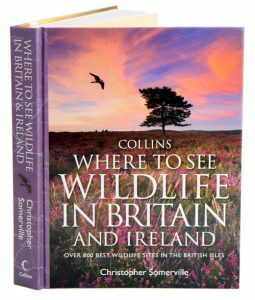 Collins where to see wildlife in Britain and Ireland: over 800 best wildlife sites in the British Isles. The British Isles are home to some of the most varied wildlife to be found in Europe, and knowing when and where to go is the key to seeing Britain’s natural beauty at its very best. Divided into 50 regions, each accompanied by a detailed map, this book is packed with essential information on Britain and Ireland’s most exciting conservation sites, from nature reserves in Somerset renowned for their otters, to remote bird sanctuaries in the Highlands of Scotland, home to the glorious golden eagle. Detailing more than 800 sites, including National and Local Nature Reserves, National Parks, RSPB Reserves, Sites of Special Scientific Interest, and Areas of Outstanding Natural Beauty, this highly informative book provides practical advice on the best time to go, how to get there, and what to see, along with suggestions for other places to visit in each area. Plants and animals associated with each site are highlighted throughout, and special features provide insight into the range of habitats you will encounter along the way, from marshes and wetlands to lakes and mountains. With over 500 stunning colour photographs and clear Collins road mapping, this book allows nature-lovers to plan anything from a fun day out for the family to a two-week tour of Britain’s wildlife treasures. So whether you want to see glow-worms glow in Devon, hares box in Hertfordshire, or sea eagles soar over Skye, this book will get you to the right place at the right time, helping to answer many of your questions along the way. Over the past 20 years dramatic declines have taken place in the United Kingdom insect populations. Eventually, such declines must have knock-on effects for other animals, especially high profile groups such as birds and mammals. 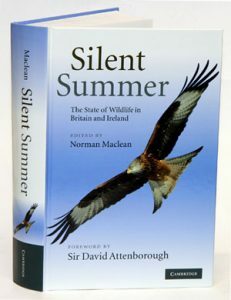 This authoritative, yet accessible account details the current state of the wildlife in Britain and Ireland and offers an insight into the outlook for the future. Written by a team of the country’s leading experts, it appraises the changes that have occurred in a wide range of wildlife species and their habitats and outlines urgent priorities for conservation. It includes chapters on each of the vertebrate and major invertebrate groups, with the insects covered in particular depth. Also considered are the factors that drive environmental change and the contribution at local and government level to national and international wildlife conservation. Essential reading for anyone who is interested in, and concerned about, UK wildlife. Collins complete guide to British wildlife: a photographic guide. A comprehensive and heavily illustrated guide to every species of British wildlife, this book is the definitive photographic reference guide for nature enthusiasts. 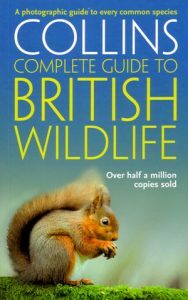 Collins Complete Guide to British Wildlife allows everyone to identify the wildlife found in Britain and Ireland. The book is illustrated with beautiful photographs throughout, featuring the mammals, birds, fish, reptiles, amphibians and invertebrates you are most likely to see, as well as all the common plants. By only covering Britain and Ireland, fewer species are included than in many broader European guides, making it quicker and easier for the reader to accurately identify what they have found. This is the essential photographic guide to the wildlife of Britain and Ireland. 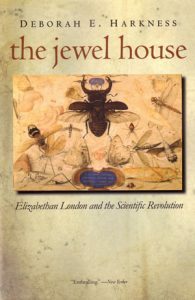 The Jewel House: Elizabethan London and the scientific revolution. This book explores the streets, shops, back alleys, and gardens of Elizabethan London where a boisterous and diverse group of men and women shared a keen interest in the study of nature. These assorted merchants, gardeners, barber-surgeons, midwives, instrument makers, mathematics teachers, engineers, alchemists, and other experimenters formed a patchwork scientific community whose practices set the stage for the Scientific Revolution, Deborah Harkness contends. While Francis Bacon has been widely regarded as the father of modern science, scores of his London contemporaries also deserve a share in this distinction. It was their collaborative, yet often contentious, ethos that helped to develop the ideals of modern scientific research.The book examines six particularly fascinating episodes of scientific inquiry and dispute in sixteenth-century London, bringing to life the individuals involved and the challenges they faced. These men and women experimented and invented, argued and competed, waged wars in the press, and struggled to understand the complexities of the natural world., Together their stories illuminate the blind alleys and surprising twists and turns taken as medieval philosophy gave way to the empirical, experimental culture that became a hallmark of the Scientific Revolution. Also available in hardcover [stock id 28870].